The Centre’s System of Air Quality and Weather Forecasting and Research (SAFAR) recorded the level of respirable pollutants, PM 2.5 and PM 10, at 283 and 517 micrograms per cubic metre respectively around 8 PM, violating the safe limits by multiple times. 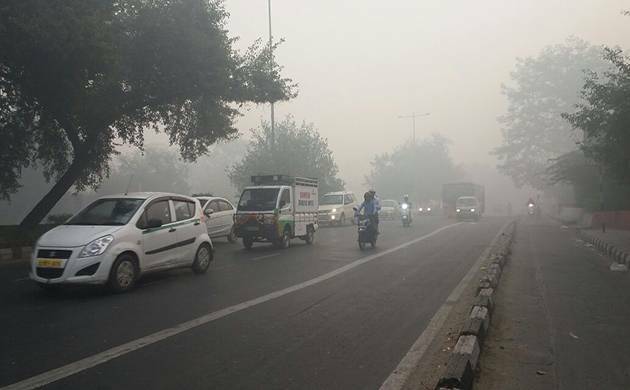 Delhi’s air quality has plunged to ‘severe’ category, which carries the risk of affecting people’s respiratory system, as smoke caused by fireworks, as part of Diwali festivities, blanketed the national capital. The prescribed standards of PM 2.5 and PM 10 are 60 and 100, and anything beyond that can harm the respiratory system as the ultra-fine particulates can embed deep into the lungs and also enter the bloodstream. SAFAR’s monitoring stations at Pusa Road, Mathura Road, Dhirpur, Delhi University, Pitampura as well as neighbouring Noida had air quality in the ‘severe’ zone. It had forecast that the city’s air will be severely polluted on October 30 and 31. The Central Pollution Control Board’s (CPCB) monitoring stations, in areas like R K Puram, Anand Vihar, Mandir Marg and Shadipur, had similar ‘severe’ readings as well. People have been advised not to go outdoors when air quality turns ‘severe’ as it has adverse effect especially on children, elders and those having heart or lung diseases. Delhi Pollution Control Committee’s (DPCC) real-time readings were also indicative of the increasing levels of pollution with the rise in the numbers of crackers going off. By 8 PM, DPCC’s Punjabi Bagh and Anand Vihar stations had PM 2.5 readings of 202 and 240 micrograms per cubic metre respectively, while PM 10 had risen to 429 and 766 micrograms per cubic metre.